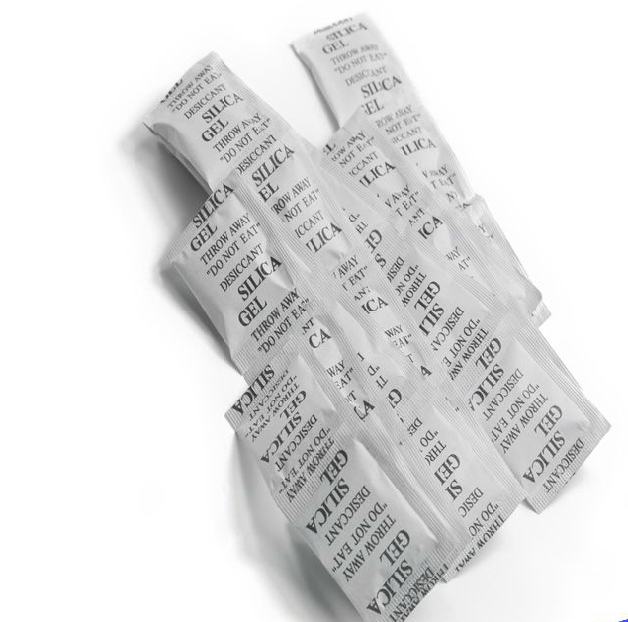 The most common desiccant packs type is the silica gel desiccant. Silica Gel is the one which is very frequently found on different food and pharmaceutical products as it is the only desiccant approved for direct contact with such items by the FDA. We can find it purified and processed in beaded or granular form but silica gel is actually a naturally occurring mineral known assilicon dioxide (SiO2). 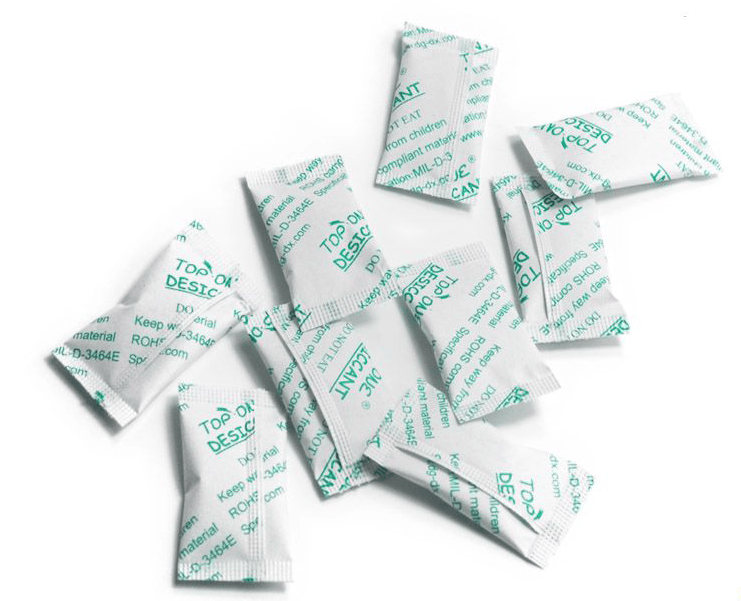 Silica gel packets can drop the relative humidity from 90% RH down to 40% RH and performs best at room temperature but will absorb moisture at high temperatures up to 220°F (105°C). With its vast range of pore sizes, silica gel has the ability to absorb not only water but other compounds like alcohol, ammonia, aromatics and olefins too. Our Silica gel desicant is a highly active adsorption material. It is usually made of reacting with sodium silicate and sulfuric,aging as well as acid bubble. It is insoluble in water and any solvents. Non-poisonous and tasteless, chemical stability. It won’t react with any materials except alkali and hydrofluoric acid. High adsorption performance, good thermal stability, chemical stability, high mechanical strength. Silica gel is good environmental protection material as well as the most commonly used moisture absorption material on the market at present. 100% natural degradation, saturated moisture absorption reach 30% ,maximum duration last 1 year. 1)Prevent the articles corrosion and rust in the sealed container. 2)widely use in shoe and cap, bags, furniture, toy, artware, gift, electron ,ect. Silica gel is a high absorbent. Exposing in the air (RH 80%-90%, 25°C) 7 hours, it can absorb 35-39% water. The silica gel is made by people with the Na2SiO2 and chemical relative. The character is a lot of holes in inner, the outside structure is the anomalistic graininess. The inner configuration makes many hiatus net, forming the effect of capillary absorbent and coagulating. So it can absorb the surrounding water, alcohol, hydrocarbon and any other chemical molecules. People use sio2 physical character and now make it the best absorbent. 3.Test sample without outer packaging,direct contact air of the canton. Note:The moisture content, packing and size can be adjusted according to customers different requirements.